Bois & Or is a perfume by Pascal Morabito for men. The release year is unknown. The scent is woody-oriental. It is being marketed by New Deal. Pleasant and unusual is the beginning with herbaceous thyme and spicy saffron, beautiful without the mushy tone and medicinal note. In the background a touch of marzipan tonka bean and a hint of woods and incense, somewhat synthetic, but not disturbing or even stinging. The individual notes flow into each other, and a soft incense pushes itself into the foreground: what remains when the smoke is distorted or the idea of incense when one smells the uninflamed resins. It's the smell of heated solder colophony (which probably nobody here knows any more) rather than that of bow colophony when playing. The fragrance lasts a long time: light almost olibanum with light thyme seasoning, discreetly powdery-sweet. At the end there remains a very delicate wood scent, no trace of heavy oud. The yellow of the saffron and the resin beads matches the name "wood and gold", but in the rating the fragrance does not reach gold, and silver just barely: the beginning is a little too loud, the end too quiet, the middle is harmonious. A pleasing light perfume for males and females, for all occasions, for autumn and winter. 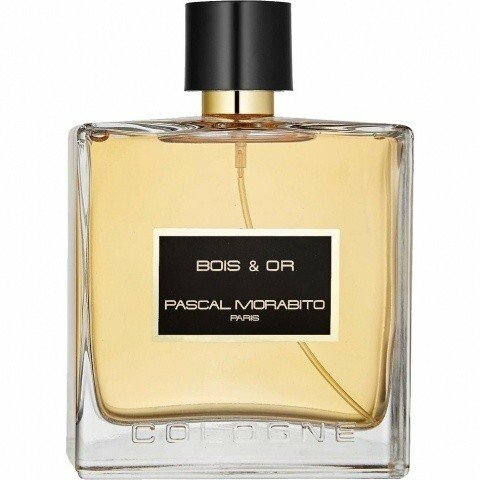 * Morabito also has a Rose Oud fragrance in its program, it's "Agent Noir"
This is a very nice fragrance but a very light one as well. It seems to have an EDC concentration, although it says EDT. I love the scent. It's a very pleasant Oriental fragrance. It's not intrusive. Its subtlilness will get you some compliments even from non oud lovers. - Low performance - Less than 4~5 hours longevity with 3 sprays; One arm lenght sillage at the most; It projects for 1~1.5 hours. - Inexpensive price - 200ml bottle - €13.50 in Showroomprivé. - You need at least 6~8 sprays on skin to beat the low performance and increase it by one third. - You should spray twice in your clothes as well to ramp up the performance. - This fragrance is not a clone of any fragrance I know. I cannot help to associate it to the three times more expensive Eau de Cartier Essence de Bois, as the later is also a very subtle cologne and features an easily dectetable oud note in the base. The bottle also comes in 200ml size and the similarity almost ends there as the two fragrance don't have much in common in what the scent is concerned (except for the oud note). There is also a faint oud accord similarity between Bois & Or and Eau de Iceberg Oud. The Iceberg fragrance costs about the same but comes in 100ml size. The big 200 ml bottle is so inexpensive that you may spray the juice freely. This way you will get an acceptable performance with this very alluring fragrance. The amount of compliments is far superior from what you may expect with such an inexpensive fragrance. Write the first Review for Bois & Or!